True.... I had forgotten they still have not confirmed their final two spots. 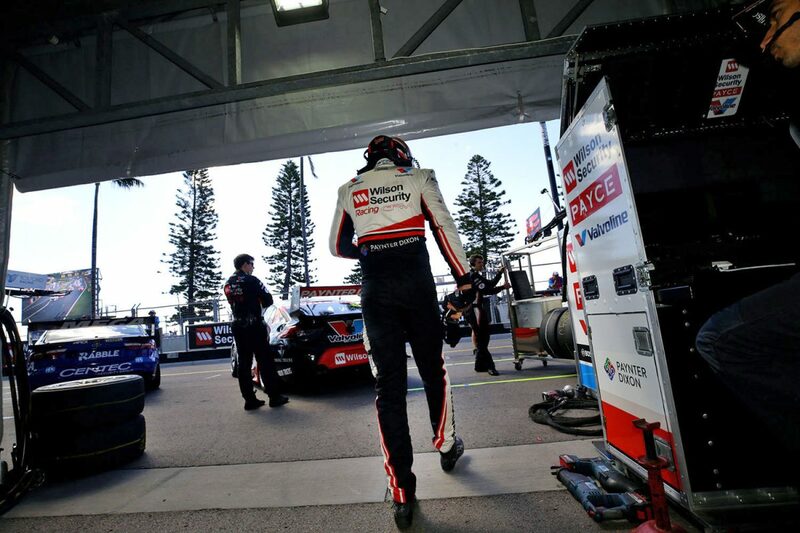 Just thinking a bit on the Tander to Nissan possibility were the two vacant seats at Nissan (ie seats 3 & 4) not more looking for drivers with a chunk of cash? Not sure that Garth has the sort of backing or inclination to go to Nissan as in effect a ride buyer. I would suspect he might be more likely to go into Team Management (maybe even at GRM, given Garry is not as young as he once was, although I know his son is pretty much running the GRM show these days). It was spoken of last year that GT might one day move into the team management side of things post driving. Boost Mobile tried to set up its own team for 2019 but Supercars knocked them back. A few more details are surfacing about the nature of the Walkinshaw loss of Boost backing, and the joining of Boost with GRM that ultimately led to Tander's release, and the seemingly drive-less Stanaway getting the gig at Boost GRM..
Boost Mobile founder Peter Adderton made a serious play to start an all-new Supercars team before completing the shock sponsorship deal that has landed Richie Stanaway at Garry Rogers Motorsport for the 2019 season. Adderton says he spoke to Supercars about securing one of the two available Racing Entitlements Contracts ahead of the upcoming season and starting his own squad, something he revealed a long-term ambition to do last October. 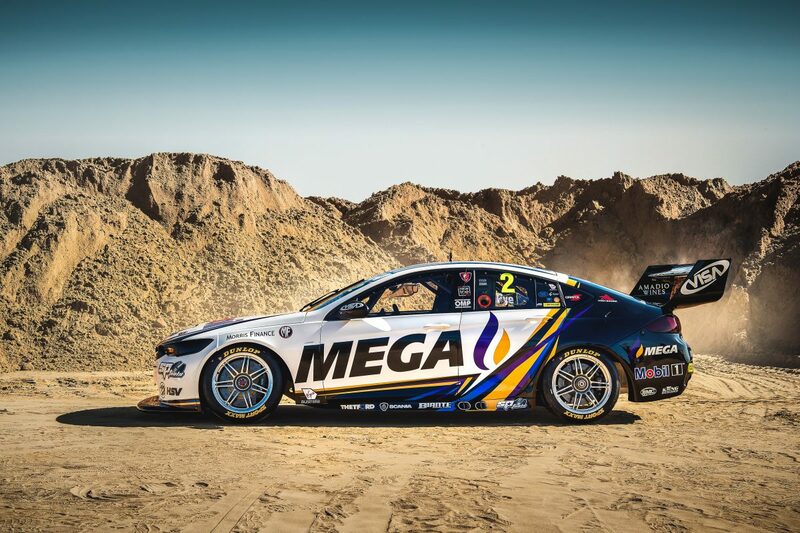 However the bid was apparently turned down by Supercars, which will instead put the RECs handed back by Triple Eight and Tickford out to tender this year. Boost Mobile not completing a REC deal ultimately paved the way for the shock sponsor/driver deal that will see Richie Stanaway replace Garth Tander at a new-look Garry Rogers Motorsport outfit. According to Adderton there was a strict stipulation that any backing would need to involve full naming rights branding – something Boost didn't have at Walkinshaw Andretti United – and a young driver line-up. Had those terms not been met, he says he would have parked the Boost Mobile money for the 2019 season. However GRM came to the party, agreeing to a multi-year deal that will see Stanaway partner James Golding at the expense of veteran Tander. "We've always wanted our own naming rights team. I've made that clear across the board. And we've always wanted a two-car team and we've always wanted young guns in the car," Adderton told Motorsport.com. "We made it clear that's what we wanted, and we were happy to sit this year out if we didn't get what we wanted. "We talked to Supercars about getting a REC to run our own team, but that wasn't available to us for some reason. I have no idea, but it wasn't available to us. "[GRM] called us and said 'are you guys looking to sponsor?' and I said 'yeah we are, but this is what we want'. "We'd been talking to a lot of teams, and a lot of teams weren't willing to give us the direction that we wanted with the young drivers in the car, and the Boost Mobile Racing, and the two-car team. We weren't getting that from many people, they had their own ideas of what they wanted in their team. "Garry was open to it. I think Garry came to the conclusion that he loves having young drivers in the car, and I think he knew Garth was going. So he said 'alright, if you guys want to a multi-year deal, then we're willing to accept the conditions that you want'." When asked if buying into the team could become an option down the track, Adderton said: "That's something we'll worry about in the future. What we want to do is get the team in a position to start to move forward." The Stanaway/GRM deal has emerged as a surprise lifeline for the Kiwi, who looked to be out of a drive following a turbulent rookie season with Tickford that resulted in his contract being dissolved after the first of two years. It's also effectively forced popular Holden star Tander out of a full-time drive, something that's not escaped criticism on social media. However Adderton says the plan is a long-term vision, and it's disruptive nature typical of the youth-orientated Boost brand. "We know this is a risk," he said. "This isn't us sitting back thinking we're going to be on the podium in Adelaide. We understand that we need to build a road to the future. "We've got young guys in the car, we've got a team that will be invigorated with these young guys pushing each other, and it's going to be exciting to watch. "There are a bunch of stories to come out of it; Richie racing the guys at Tickford, Garth leaving – who knows where he'll turn up. That's what I like about what we do at Boost. "It's always about trying to do something different and not just the status quo. That's our direction." 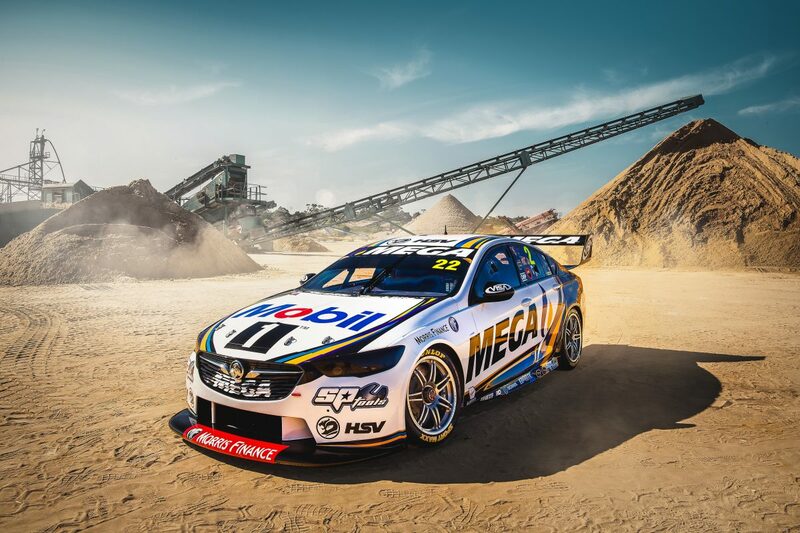 Walkinshaw have replacement sponsor lined up. As and aside to the Walkinshaw Andretti United loss of the Boost sponsorship, it seems a replacement sponsor has already been secured and finalised by WAU and will be launched tomorrow. It is said the new deal is worth more than the outgoing Boost sponsorship. Well that didn't take long. Triple 8 is going to be even more formidable then usual this year, Whincup/Lowndes and SVG/Tander is probably the best driver combination since they banned main drivers from driving with each other. Certainly a strong line-up.... and both GT and SVG are similar size so driver changes are no problem with seats etc. Leanne Tander said something in social media to the fact that GT was no longer a full time Supercars driver, so obviously the Nissan suspected 'ride buy' seats are just that, and not something of interest to GT.. I guess the T888 role puts paid to any management / ambassadorial roles for GT at GRM. For now anyway. Maybe still something there for the future. Feel a bit sad for GT, having finished last year with a 2019 seat secure.... he is saying now the hardest thing to come to terms with is the no farewells or the like as we had in overdose almost with CL. Sad that such a long and distinguished (full time) career has just fizzled out with no farewell razzmatazz in front of friends and family. Garth walks to his car alone for what turned out to be his last race! Crikey, Tekno have replaced the departed Kevin Burgess as team Principal/Manager..... with Jono Webb.... not so sure that is a bright move given the experience over many years with many teams that Burgess has tbh. They also recently lost Cambell Little, known for his technical nouse. Both Little and Burgess have moved to technical management roles within Supercars, Little as Head of Technical and Burgess as head of Motorsport. It looks like Caruso is off to a co-driver role next year. Apparently he was going to be SVG's co-driver until Tander got removed from GRM, but regardless I imagine he'll get a good enduro ride next year. Caruso out of a Nissan drive?? It seems like, although rumours hve been circulating, that Caruso will not be in a Nissan this year. Technically they (Kelly Racing as it is now) still have two seats to fill, with the only two confirmed to date being Rick Kelly and Simona, but recent gossip circulating suggest Caruso knows something those outide KR dont.... Kelly racing have with the loss of works Nissan status (and Nissan $$$) have always said that the two remaining seats will need to be 'financially viable' which I guess goes against Caruso, a paid driver without backing of his own. Apparently Caruso was in negotiations with T888 for an enduro drive alongside SVG, but that all stalled when Garth Tander became available and snapped up by T888. So with Caruso looking at enduro positions that all but confirms his being out of Nissan. The remaining two KR/Nissan seats now look like they will go the way of Andre Heimgartner and Garry Jacobson who remain favourites for the seats, and will both bring money. It seems like, although rumours hve been circulating, that Caruso will not be in a Nissan this year. As anticipated in these pages Kelly Racing has confirmed Michael Caruso’s departure from the team leaving him no chance of a full-time race seat for the 2019 season. (Unless we see any mid season changes,) He will however be a prime candidate for one of the many enduro seats still on the table. Richards will co-drive with Winterbottom again. Did not take long as expected for him to line up an enduro gig.... Tickford have confirmed Caruso will line up with Cam Waters for the enduros in the #6 Mustang.